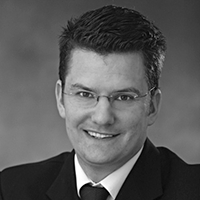 Carl Möller is a Melbourne barrister, with a practice predominantly in commercial, corporations and insolvency law. Before joining the Bar, Carl was a senior associate in the commercial disputes group at Minter Ellison. There he undertook a broad range of commercial litigation, particularly in insolvency, banking, trade practices and financial services. Prior to that, he spent 3½ years working in commercial and corporate law at Clayton Utz. Carl holds masters degrees in law from the University of Melbourne and from Oxford University. He is a member of the Law Council's Insolvency and Reconstruction Committee and a reporter for the Australian Companies and Securities Reports.